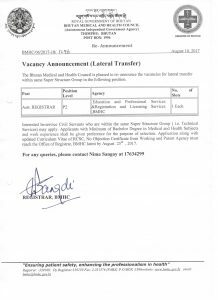 1st 2017 “Executive Committee Meeting” of Bhutan Medical and Health Council was held on 16th March,2017, chaired by Honorable Vice-President (Health Secretary) of BMHC. 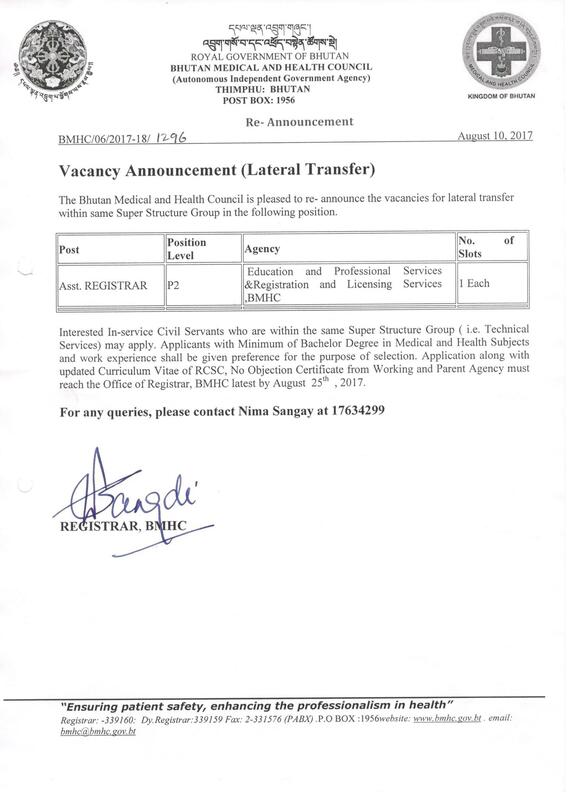 The BMHC is pleased to re-announce the vacancies for lateral transfer within same super structure group. For information…..